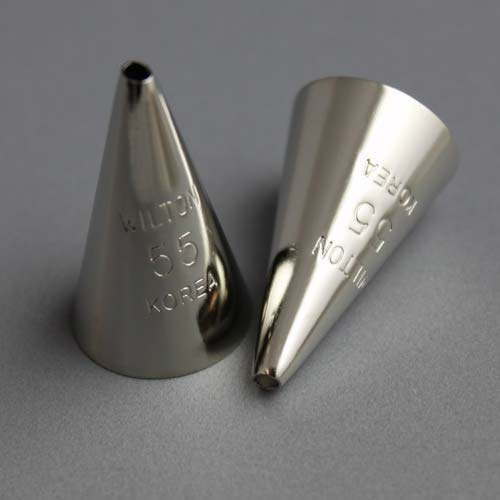 A No.55 round decorating tip from Wilton. Use for outlines, lettering, dots, balls, beads, stringwork, lattice and lacework. Use with the standard coupler.